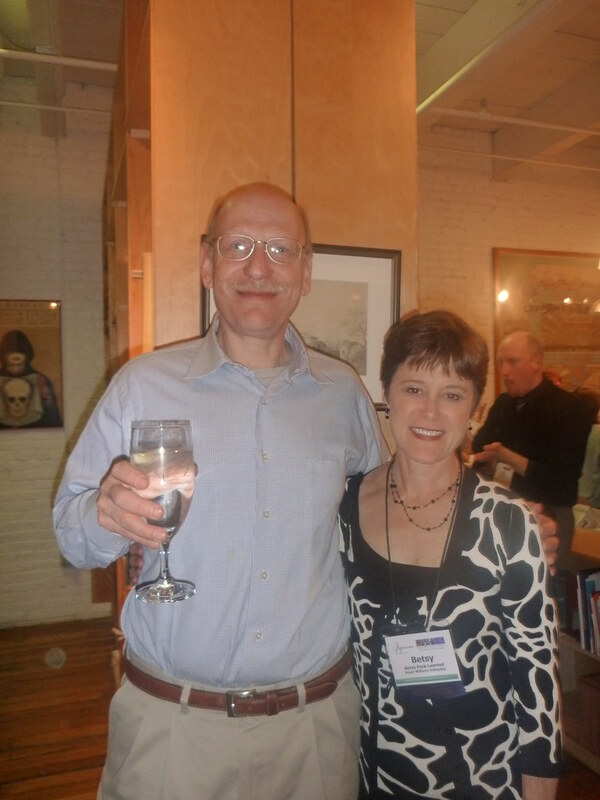 Members of ARLIS/NA, the Art Libraries Society of North America at F.A. Bernett Books' Boston offices. 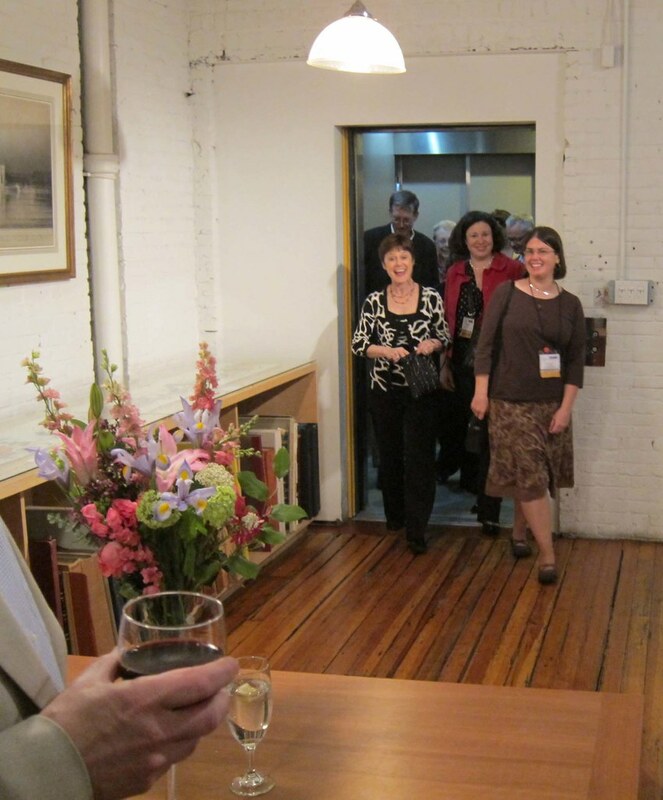 This past weekend on a beautiful spring night in April, more than 100 of our friends and colleagues in ARLIS/NA, the Art Libraries Society of North America, joined us for music, food, drink and conversation at F.A. Bernett Book’s humble headquarters in Boston’s historic Leather District. It was the first time in more than13 years at the location (previously, F.A. 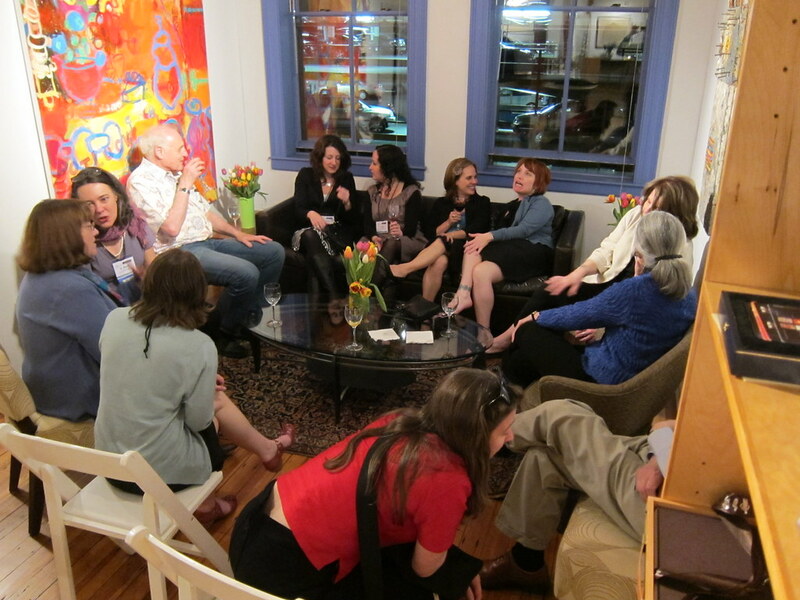 Bernett Books was based in New York City and Larchmont) that we’ve thrown a party. We certainly had a good time and it seems our guests did, too. A few photographs, and link to a slide show featuring many more, after the jump. Since we knew we would be having guests, we did our best to put a shine on the 3rd floor loft we call home. 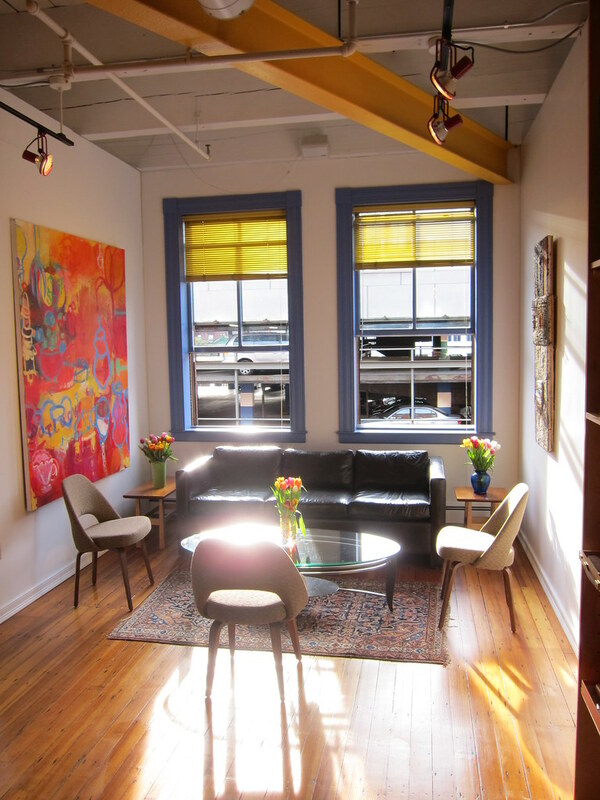 The office lounge, featuring artworks by Larry Malam (right) and Anne Gilson Haney (left). After exhibits closed for the day and final sessions adjourned, many of our guests walked the scenic 2 mile route from the Seaport World Trade Center to our work space. F.A. Bernett partner Larry Malam (pictured far left) was happy to offer them a glass of wine straight off the elevator. Larry Malam appropriately welcomes an elevator load of thirsty colleagues. 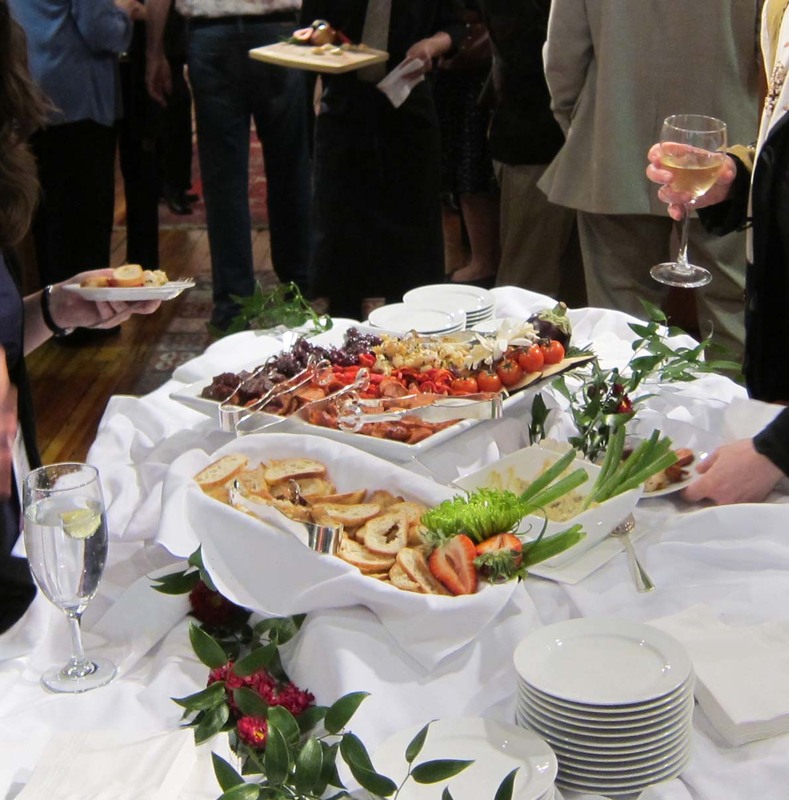 Baker’s Best, our caterers, did a laudable job of keeping the drinks flowing and making sure everyone was well fed. Early arrivals put our lounge to test (and apparently didn’t find it lacking). The office lounge, put to its intended use. The room filled quickly but was never uncomfortably crowded. Party in the stacks...is everyone wearing their white gloves? F.A. 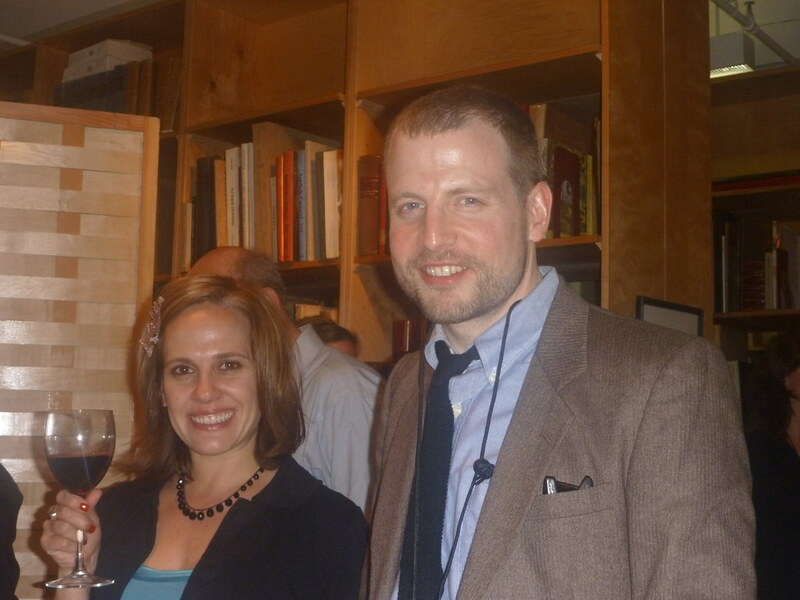 Bernett staff members Carrie Pinsker and Arthur Fournier. 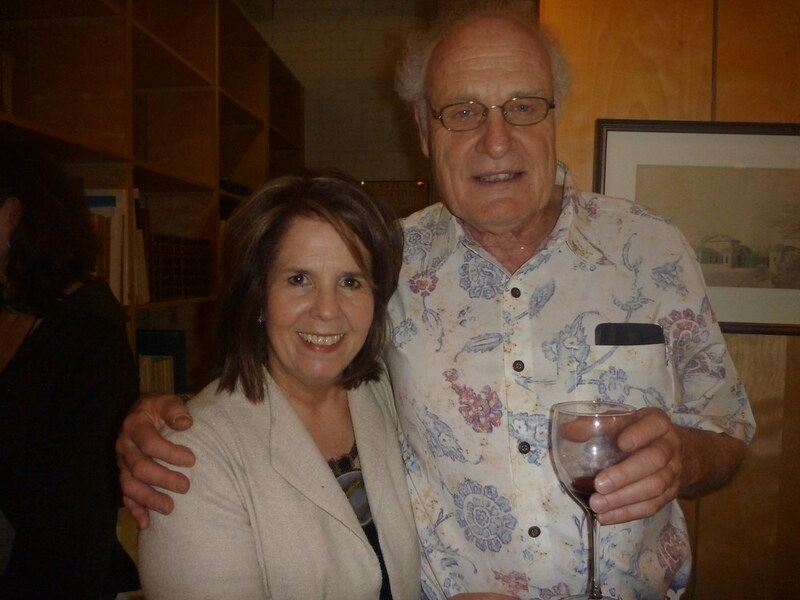 Eileen McGowan and Peter Bernett. A small group kept things going well past the party’s stated 9 pm end time—and we were glad to have them. Old and new friends stuck around for dumplings (Chinatown is only two blocks away) and the tunes on Fournier's iPod as the party wound down. 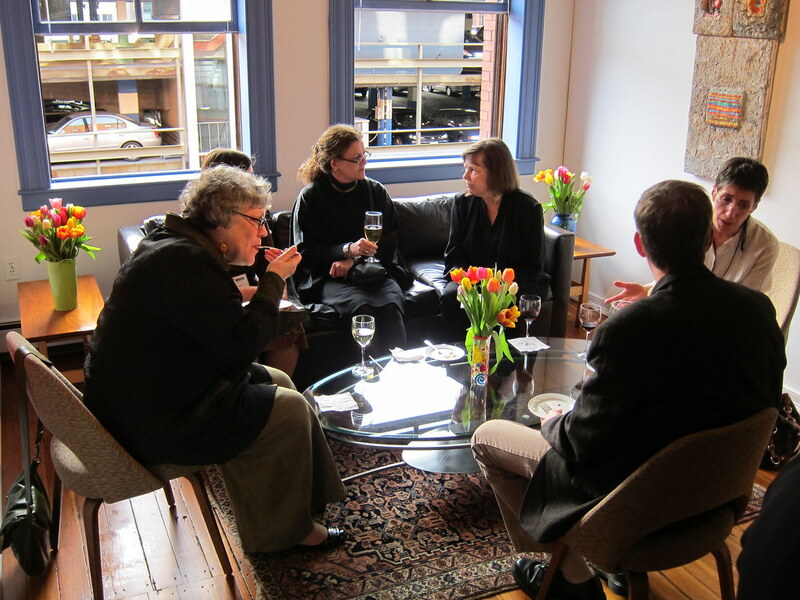 Members of ARLIS/NA gathered in Boston for their 38th annual society meeting. For more photos, and there at least 30 additional shots in the set, view our Flickr slideshow, here. 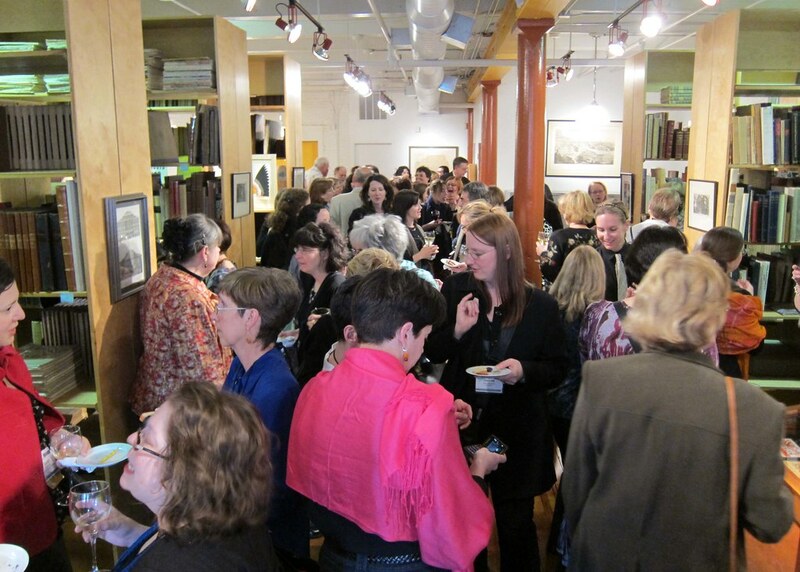 Our thanks to everyone who came out and made the evening such a memorable one. 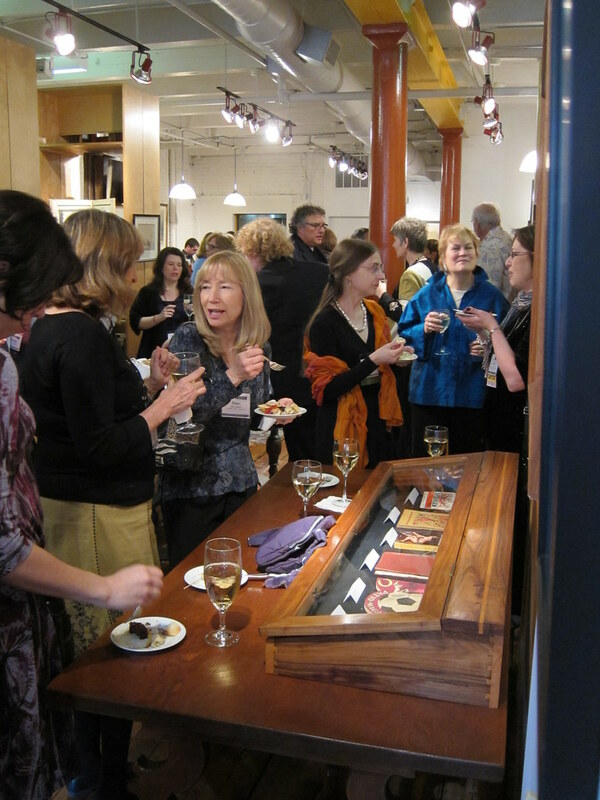 We look forward to keeping in touch this year and to seeing you again next spring at ARLIS in Minneapolis. Thanks so much for the swell soirée! It was a lovely evening and the tunes were great. Thanks for a GREAT party!!!! Enjoyed seeing your fabulous digs, and the food and wine were superb. All around a very enjoyable evening.